I use this feature everyday for a quick, easy way to tell how much money is in my accounts and also if my checks have gone through yet. It is very simple and takes only a few minutes to navigate. Plus, I can access it anywhere I need! Easy Touch Telephone Teller is a free 24-hour service that allows you to move money within your DCU account by phone. With the speech-recognition version, just say what you want when prompted. With the touch-tone version, just press numbers on your telephone keypad. All you need to start using Easy Touch is your DCU member number and the secret 4-digit DCU Personal Identification Number (PIN) you received when you joined. If you don't remember it, let us know and we will have another copy printed and sent to you. No one at DCU has access to your PIN. Check savings, checking, and loan account balances. Hear all recent account activity (deposits, withdrawals, purchases, and payments). Get detailed Account History  choose from categories such as recent activity, recent debits, recent credits, recent checks or cleared checks by check number. Get year-to-date and prior year interest on loan accounts as well as loan pay off amounts. Make line of credit advances to other accounts. Make withdrawals by check mailed to your address of record. Make transfers from your account to other members' accounts (this feature must be set up in advance). You must know your PIN (Personal Identification Number) to use Easy Touch, Online Banking, your ATM or Debit Card, and to get cash advances using your DCU Visa®. You need your savings and loan numbers. Visit Online Banking to get your account numbers. Sign up to make cross account transfers. With Easy Touch you can transfer money from your accounts to other members' savings and loan accounts. Sign up for this feature by visiting Account Manager in Online Banking and choosing "Cross Account Transfers." Note: All savings and money market accounts are limited to six outgoing phone transfers per month  Regulation D. See the StreetWise Guide to Regulation D for more information. For a copy of your PIN, Email us, stop by any branch, or call our Information Center at 508.263.6700 or 800.328.8797, weekdays from 8:00 am to 9:00 pm and Saturdays from 9:00 am to 3:00 pm, Eastern time. Speak clearly into your phone. Do not use a speaker phone. Easy Touch will confirm your response if it cannot understand you. You can speak while Easy Touch is offering choices. It will recognize your response. Speak your Member Number, PIN, and account number choices one digit at a time. Example: "one, two, three, four" for 1234. Speak amounts as a phrase or single digits. Example: two hundred thirty dollars and fifty cents. Say "start over" to return to the main menu or "go back" to go back one level. To end the call say "goodbye" or hang up. Press 8 to hear the menu again. Press 9 to go back one menu. Press * to end the call. The last two digits equal cents. For $100.00 you will enter 10000#. Press # after each entry (only if prompted). To speed up transactions you can enter information before Easy Touch stops talking. Example: Member Number 1234567 and PIN 1234 can be entered as 1234567#1234# as soon as touch-tone Easy Touch begins speaking. Easy Touch Telephone Teller System is rated 4.1 out of 5 by 18. Rated 5 out of 5 by Partha from Very Good Service and they are always Helpful. I had opened bank account and took a loan from DCU. The DCU staff is really helpful in answering all the queries and in setting up my accounts. Also they are always helpful in providing resolutions and helping in providing faster response. Rated 5 out of 5 by Jamazing from Easy Touch Telephone Teller helps me everyday! I use this feature everyday for an easy way to tell how much money is in my accounts and also if my checks have gone through yet. It is very simple and takes only a few minutes to navigate and I can do it anywhere I need! Rated 5 out of 5 by Raghav from Happy Customer I have never been to DCU bank and i operate everything online. TT system helped me many times a lot. I am very Very Thankful to the Team for Providing such and awesome Service in Telephone. Good Luck to the Entire Team... Please post my Message to all your DCU Support Team. "DCU Rocks..!!" Rated 5 out of 5 by MM10 from All the product has Excellent features All Product Services are excellent and user friendly. Does DCU offer a 24 hour automated touch tone telephone service? DCU offers a 24 hour automated touch tone telephone service called Easy Touch. What option do I choose to apply for a loan? You may apply for a loan with DCU by visiting dcu.org and clicking on &quot;Get a Loan,&quot; or by calling 800-328-8797 option 3 to apply by phone. Once we have your application, we would review this and contact you back regarding the status of your application and any additional documents that may be needed for processing. To log into Online Banking for the first time you will need your Membership Number and 4 digit PIN. These items are sent out separately by mail at the time your membership is opened. The PIN will be your password for the first log in. Once you log in you will then be asked to set up your own password. If you have recently opened your membership and you do not receive your PIN within 5-10 business days or are still unable to log in please contact us through Live Chat or phone at (800) 328-8797 option 5 for assistance. We are available Monday through Friday from 8 am until 9 pm and Saturday from 9 am until 3 pm Eastern Time. Please contact DCU securely for help with having a new card provided. I don't know my account or member number. I also had phone app for Dcu but recently I got head injury made me forget a lot of things. Plz help me. Have a blessed day. We would be happy to have a copy of your Membership Number mailed out to you. 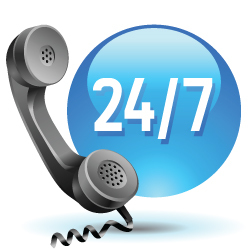 We ask that you contact us directly by phone at (800) 328-8797 or through Live Chat for assistance with this. We are available Monday through Friday from 8 am until 9 pm and Saturday from 9 am until 3 pm Eastern Time. StreetWise Guide to Regulation D  Explains federal monthly limits on certain remote transfers from savings accounts.